In the last 20 years, Christianity has exploded by 300 percent in the world’s most influential city. New York City churches tread the line between community center and place of worship; they are a mixture of ESL classes in the basement, bi-vocational pastors, after-school programs and co-op gardens behind project buildings. They are dinner parties on Wednesday nights, and artist collective meetings in recording studios. Churches don’t announce their presence with sprawling campuses and freshly painted white steeples. Many of the city’s most prominent and influential churches don’t even have a permanent location—much less a sign tacked on the front. Church here is more bare than gloss. But without these Bible Belt trappings, Christianity is exploding at unprecedented rates—as in, 300 percent growth in 20 years. You’ve heard of the key players, like Timothy Keller’s Redeemer Presbyterian and Hillsong NYC. 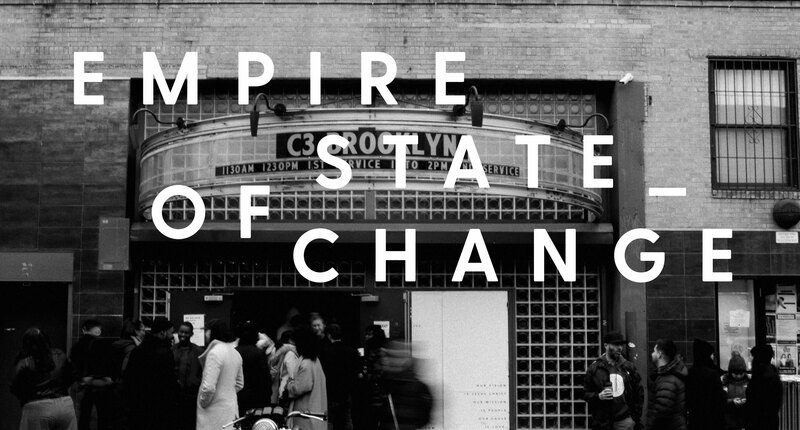 But the story of New York’s revival isn’t all about high-profile churches. Like the city itself, the real story includes a persistent, rich diversity. Sunday mornings here look vastly different in every neighborhood. A diverse crowd of young families and professionals mill through the Music Hall of Williamsburg at C3, waiting for the music to begin. In Long Island City, Queens, a worship band sets up sound equipment in a rented elementary school auditorium while the congregation of Trinity Grace Church’s local parish files in. In Union Square, team members write “WELCOME HOME” in white chalk across the steps of the legendary Irving Plaza as the scent of alcohol and marijuana wafts through the air from the show the night before; dozens of 20-somethings line up outside hoping to get a seat at Hillsong Church. In the West Brighton section of Staten Island, small groups of people walk across the street from the project buildings into the parking lot of New Hope Community Church, where they dodge basketballs whizzing by before congregating in a beautifully renovated building that was a staging area for an underground pit bull fighting ring up until a few years ago. And in the Bronx, a bi-vocational pastor and city councilman speaks with radical enthusiasm to the faithful of New Life Outreach International. It will only be a few more weeks until their brand-new church building, which will be the newest building in the immediate area and primed with state-of-the-art technology, opens its doors. The triumph of a church making a land purchase in a place where rising real estate continues to push long-time residents out is nothing short of a miracle. During the 1970s, when the traditional moral underpinnings of the country eroded, New York City was one of the key battlegrounds where secularism prevailed definitively and unquestionably. The New York Times observed in 1975 that the religious leaders of New York City had “radically revised their perceptions of their own roles.” That same story assessed that the leading theology of the already liberal-leaning city was replaced by a reverence for humanism. And yet: The so-called foolish, brave pastors of the 1980s and ‘90s spent decades doing the hard work of making New York City a place where the seeds of the Gospel could again be planted. Christianity in New York City looks different than in other places, and urban religion expert (and Queens resident) Tony Carnes would be the first to admit that that makes the movement hard to quantify. To people from other areas of the country, the resurgence of Christianity here takes a shape that’s hard to see. But the lack of real estate, Carnes observes, doesn’t necessarily reflect a lack of social capital. He would know. Heading up Journeys Through NYC Religion, a non-sectarian, non-denominational organization with no direct religious affiliation, Carnes has been walking the crevices and alleyways of all five boroughs, street by street collecting data at every religious site that he and his group have come across since 2010. What he’s discovered is astounding: 40 percent of the churches in Manhattan below 125th Street were founded in the last 15 years. Church planting is up 2.1 percent across the outer boroughs. In a city of over 8 million people, that’s a movement. The momentum that churches have gained in New York City is something that was gaining traction almost imperceptibly before exploding all at once. As the Church itself shifts toward ministry that kindles one-on-one relationships, it converges with a generation unique in its desire for connected and multi-dimensional community. It’s a critical moment; one where the rising tide of ideology is greeted by a host of practical concerns. The result is a dramatic shift that is recasting the role of Christians in New York City. He was born in the Bronx, before moving to California with his parents, and it struck him as the hardest place he could possibly go. But then in 1988, Cabrera founded New Life International Church—in the Bronx. Stories like Cabrera’s are essential to understanding what’s happening in New York City in 2017. New Life International’s founding turned out to be part of a banner period of growth in a battleground that many Christians had given up for lost. Redeemer Presbyterian, the influential Manhattan church led by Keller, was founded the very next year, in 1989. Determined young church leaders were drawn to New York by the dozens, all seemingly compelled by a love for a cruel, frozen, frenetic and creative place. By 1990, churches were being planted in the city at a steady rate of 1.8 percent per year. The work of making New York City a place where people would be receptive to the Gospel was exactly that: work, of the grittiest and sometimes most heartbreaking kind. Amongst the millions of individuals coming in and out of New York City, the population of those who could be identified as Christian hovered around 5 percent—even in comparison to other metropolitan areas like Los Angeles and Chicago, 5 percent was strikingly low. “The contrast between light and dark becomes so clear here,” pastor Josh Kelsey observes. “Christianity can be more cultural in other places. I’ve been so surprised by how open people are to our kind of church and what we’re doing.” Kelsey has been a pastor at C3, a church with a campus in downtown Manhattan, as well as two in Brooklyn, since 2013. Churches, especially those in the “outer boroughs,” grew. Yet these churches, many small, non-denominational, mission-minded storefront places, were mostly unaware of each other’s progress. Emboldened and galvanized church leaders became a critical part of the city’s grieving process. They turned to each other in a time of critical need. Church had been so long an afterthought in New York, a thing presumed to be dead or at least quickly dying, but after 9/11 it surged back into direct line of sight. More new churches started showing up, and it hasn’t slowed down since. 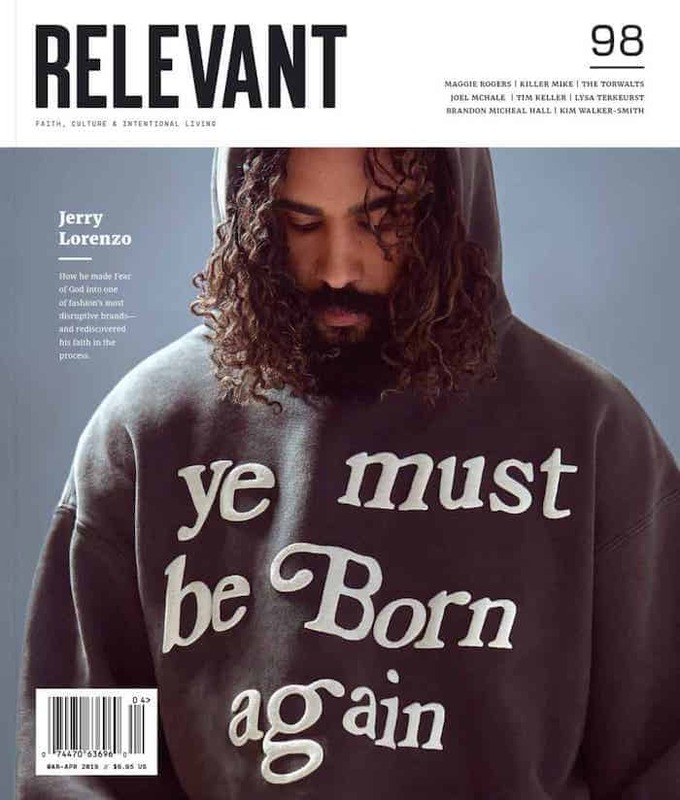 The church planters of the 1980s and ’90s certainly played their part, but the faith boom currently being seen in NYC also can be traced to population statistics. Thirty-eight percent of people currently living in New York City were born in another country, according to the city’s own research. That’s three million immigrants, conservatively, who find themselves in a unique place where they are searching for roots. Socio-economics and politics play a crucial role in the influx of churches anywhere, but especially here. Cabrera also serves as a city councilman for his district of the Bronx, one of the poorest congressional districts in the United States. His constituents, like many New Yorkers, are vastly impacted by gentrification and surging housing costs. But with that challenge comes a creative solution. Many churches are addressing the problem of limited real estate by adopting a parish model. In other words, Christians living in New York City exist in an environment less conducive to a faith that lacks substance. The other big catalyst for church growth? The presence of curious, authenticity-starved young people. “It’s definitely a melting pot of things: a God-timing thing, the nature of New York City and how many young people are moving here,” Kelsey says. Cabrera feels the same way. While the Church’s growth may have been incubated for decades in living rooms, rented school auditoriums and musty basements under restaurants, social media has made the movement impossible to keep secret anymore. It wouldn’t be possible to write about the astounding change in the Christian landscape without talking about Hillsong NYC. With an Irving Plaza, Times Square and Montclair, New Jersey “campus,” Hillsong NYC has become Exhibit A for many looking to examine evidence of the changing church landscape in the New York City area. Frequented by pro athletes and celebrities, and headed up by Carl Lentz, whose energetic and optimistic love for the city can only be described as “aggressive,” the amount of media attention on the congregation has shone a spotlight that’s exposed the potential of what can happen here. And so much of what happens in the ministry of Hillsong NYC seems to come straight out of a New York City dreamscape: distinct with coincidence and rife with sensory experiences. Joel Houston treasures these moments. “What are we to make of all that?” Tony Carnes wonders. The success of church plants may be an imperfect metric of actual spiritual development, but it’s part of what we have to go by. It’s still difficult to establish what goes on inside the hearts and minds of the people walking into these churches to see what they’re about. The extent of this rapid phase of church growth—how long it will last, what effect it will have on the general population of the city, and if these churches can endure past a single generation—“remains to be seen,” Carnes says. The New York City Leadership Center, a coalition of Christian leaders from around the city, estimates the number of people identifying as Christians multiplied by more than 300 percent between 1989 and 2014. This still doesn’t mean churches in New York have permanent locations. Most remain signless because New York City churches don’t announce their presence with buildings and permanent signage. And they don’t have to. The swell of people coming to and growing in faith speaks for itself. Kathryn Watson is an arts and culture writer based out of New York City, asking questions about who we are and what we are becoming. Kathryn contributes essays, culture coverage, and reporting for national publications like Medium, PASTE, and Brit + Co. Follow her on Twitter @whatkathrynsaid.